Iranian teenager Pouria Nourmohammadi who boarded the missing Malaysian Airlines flight 370 with a stolen passport has a Facebook page. Pouria Nour Mohammadi, 19, and Reza Devalar, 29, both from Iran, used stolen passports to travel from Malaysia to Beijing and then Amsterdam. Pouria Nour Mohammadi’s Facebook page is Pouria AM. 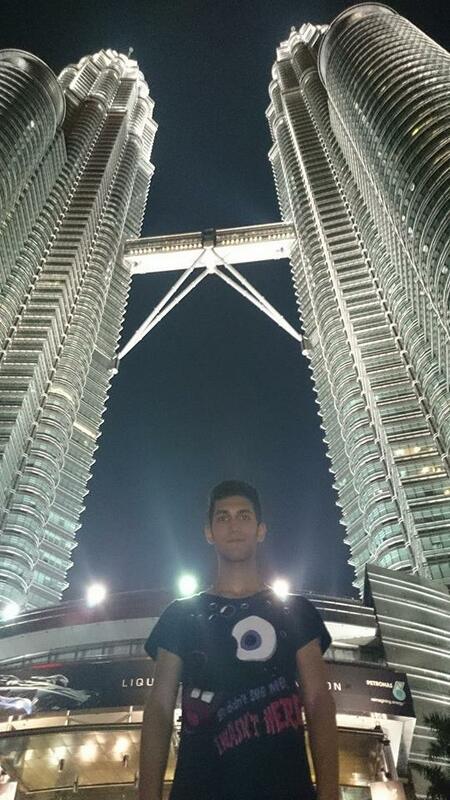 On March 4 Mohammadi posted this from Malaysia. Pouria said he was excited. Mohammadi also apologized to his friends when he left on his trip. The head of a China entertainment company said the stolen passports used by two Iranians on missing flight MH370 were used last year to get into China. Stolen passports carried by two Iranian men to board missing Malaysia Airlines Flight 370 were used last year by two people applying for visas to work as entertainers in China, according to the head of an entertainment company. Xie Zhuoling, the head of a firm that recruits foreign performers for nightclubs and hotels, said that employment contracts had been signed in June for Christian Kozel, an Austrian, and Luigi Maraldi, an Italian, to work as dancers in Ningxia, northern China. “I remember at the time, these contracts looked very suspicious. Normally when we recruit performers they are from the Philippines or Russia, where wages are cheap, not Western European countries like Italy and Austria,’’ said Xie, who says an office manager for his company, Ningxi Overseas Prosperity Cultural Import. Co., handled the contracts. UPDATE: China Hush has other information on this report.